The classic TV game show! Welcome to Deal or No Deal, the classic hit TV game show where you try to find $1,000,000 hidden among 26 briefcases. As you reveal what’s hidden in each case, the banker will offer to buy the one you set aside for yourself. The only thing you need to answer is: Deal or No Deal? The more you earn, the more tokens you’ll be awarded to unlock six exclusive variations of the game. In 3 Strikes, open cases containing $ signs to advance up the Money Board -- avoid finding the three cases containing an X along the way, and you’ll take home the $1,000,000 grand prize! In Spell Bound, half the cases start off with $1,000,000 and a letter added to each one -- solve a hidden phrase in classic hangman style to find out how much the banker is willing to offer for your case! 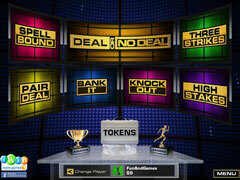 Other games include Knock Out, Pair Deal, Bank It, and High Stakes, where you can walk away with $4,000,000! Now with 6 brand new variations and puzzles that you have to solve before your are offered a deal from the Banker. 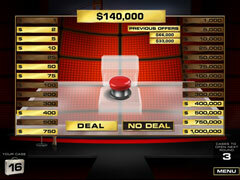 Deal or No Deal is a trademark of Endemol International BV. 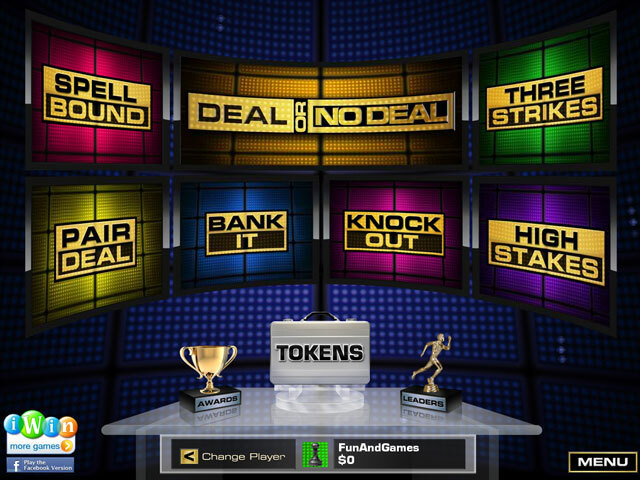 Based on the Endemol television program Deal or No Deal licensed by Endemol Worldwide Brands.